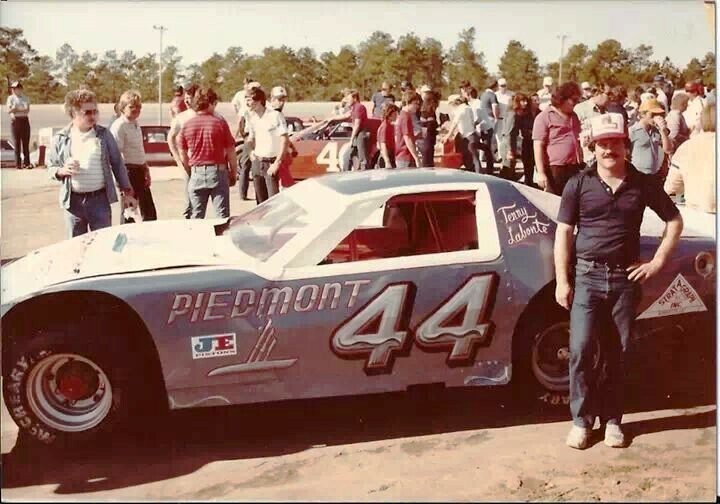 As Told by Tony Barker: This picture of Terry Labonte, I believe is at the Snowball, driving for the Hupperich Bros. The Hupperich Bros won the JIS track Championship with that car. Then Billy Hagan bought it from them, had Dewey Livingood build a potent 9 to 1 engine, and they ran the Snowball Derby with it. Terry qualified 17th, just riding, and was taken out in a wreck on lap 12. The wreck was not of his doing. Not just saying this because I worked with Terry, Terry Labonte was the most underrated NASCAR driver I’ve ever seen. Terry went on to win his first NASCAR Championship the next year (1984).